Each high quality photo album contains 20 pages with protective interleaf which will allow you 20 photos if used single sided or 40 if used double sided. 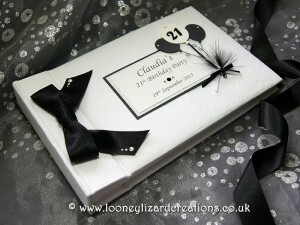 Each album is lavishly decorated with genuine Swarovski crystal elements and come in their own presentation box. A really unique gift to present some on their anniversary, birthday, wedding, new arrival or somewhere to keep those treasured photos of your son or daughters graduation day. So why not make use of this special offer and give someone something unique. Remember this special offer will end on the 5th September.